2013 Update: Both Wahlberg’s eagles have returned to their nesting site – the first one (female) was spotted as early as the 6th August and her partner was seen less than a week later. A reminder of the ban has also been put into the climbing register. 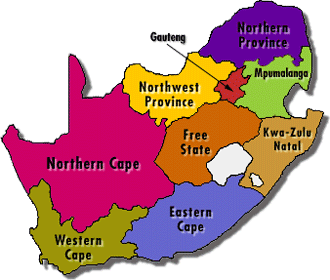 Kloof, Durban – PLEASE fill in register!!! Wahlberg’s Eagles (Aquila wahlbergi) are small brown eagles. Mostly when seen by non-birders they are taken to be kites because of their similar size and appearance. The eagle has a long narrow straight tail and the wings are also fairly narrow and straight, giving it the appearance in flight of two crossed planks. The kites have flared, forked tails with wings that look a bit bent. Both species have yellow bills and feet, but when seen perched, the eagle has legs that are feathered all the way down, whereas a kite has bare legs. The eagle also has a little crest, which isn’t readily visible unless the wind lifts it or the bird is agitated. There are three main colour morphs – a very pale cream variety (not often seen), a mid rufous brown and a dark brown. The pair in Krantzkloof Nature Reserve (KKNR) has always been observed as a very dark brown (thought to be the female because this one is not so often seen at a popular roost during the incubation period) and a mid rufous brown (in this instance thought to be the male). 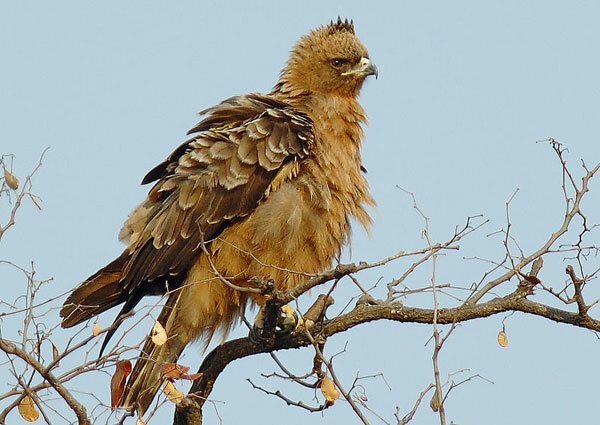 Wahlberg’s Eagles migrate across the equator to northern Africa. They mate for life (on the death of one of the pair the other one will find a new partner). Their diet consists of small mammals like young dassies and rodents, lizards, snakes, birds, and insects – when termites emerge the Wahlberg’s have a feast, either catching them on the wing in their talons or on the ground. This eagle is extremely vocal and makes a loud kleeeee-ee, usually while soaring, and a rapidly repeated kyip-kyip-kyip-kyip, which is mainly a contact call used by the pair at the nest. The KKNR pair is often seen flying over the head of the canyon, ‘hanging’ motionless in the air until something of interest is spotted below and a heart stopping dive can be witnessed. The courtship also involves spectacular aerial displays over the canyon by both birds accompanied by their distinctive loud calls. When the birds arrive in August, nest reconstruction usually starts straight away. They normally only lay one egg, in September. The female incubates this for roughly 45 days, and when the chick hatches she feeds it with food brought by the male. Occasionally he relieves her at the nest. The chick, which is dark brown, leaves the nest at around 70 – 75 days old. It spends the days prior to leaving standing up in the nest and stretching its wings. After having made its first flight it is a bit unsteady and sometimes lands in inappropriate places – like on quite small branches, and one KKNR chick was observed hanging upside down from a branch with flapping wings. As the chick stays brown it is almost impossible to tell from the adults (unlike other species of eagles that moult gradually from the often very different looking juvenile stage to adult plumage) we have never really been sure if the eagles bred successfully or not. On very rare occasions three eagles were seen together at the time when there would have been a fledgling, and it was assumed in those years that breeding had been successful. The Wahlberg’s have been observed for at least 40 years at the Canyon. The first nest known was in a Yellowwood tree growing from the gorge floor opposite ‘This and That’ Wall. In the early days a hide was set up just above the nest on a very steep slope . The man who helped build this slipped over the edge one day but fortunately landed on a ledge below and was rescued. Around the mid 80’s the eagles were observed using a new nest a little more towards the main gorge. The reason for this was a mystery until in the coming years it was observed that the Yellowwood tree was dying. The new nest was only used for a couple of years as one of the controlled burns ran away over the edge of the cliff, burning the new nesting tree. After this the pair found another suitable tree further in the canyon at the entrance to the inner canyon, opposite Spectre Wall. They used this nest consistently (unfortunately there was no clear view into this nest so we could never tell if breeding was successful) until two years ago, when they moved their nest even further up the canyon, about halfway up the inner canyon. It is not known why, but is assumed the presence of climbers during their breeding period disturbed them (inadvertently as most climbers are unaware of their presence as the female will lie low in the nest if humans approach). 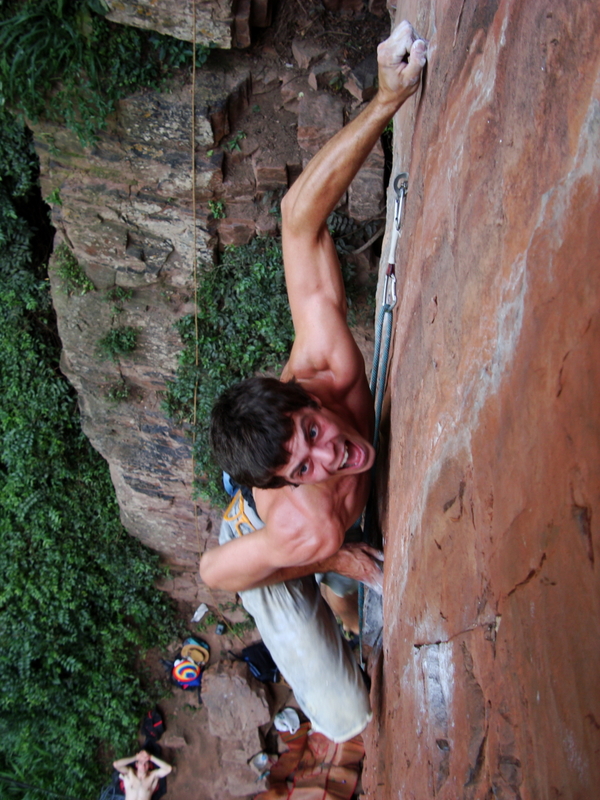 There had been a ban on climbing in the breeding season but that had been set for the period 1 October – 31 December. Considering the birds arrive back in August (the female was seen on 6 August this year and the male was spotted on 20 August) and start rebuilding the nest straight away the dates seem inadequate, and this is why they have been shifted. The pair in KKNR is the southernmost breeding pair known. There are also pairs at Shongweni, and a pair was reported at Vernon Crookes but they are not known to breed. The current nesting site is exposed to one property only (the authors) from where there is a good view into this nest. However, great care is taken not to disturb them at this sensitive time with animals and humans being kept off the deck that overlooks the nest. Although Wahlberg’s eagles are common eagles, all raptor numbers are in decline. They are threatened by loss of habitat and poisoning (the author has witnessed one of the KKNR pair suffering from what seemed like a poison issue – it is not known if that individual survived). Considering they have been present in the canyon for as long as any humans have been visiting it and overcome enormous distances and dangers to return to it every year it would be so sad for them not to return one year because of disturbance by humans. The cooperation and respect for wildlife at KKNR shown by the climbing community are very much appreciated by the management of the reserve and the residents surrounding it. Nice photo of Rumdoodle 😉 Who’s that skinny lighty on the left? The one with short hair? Thanks very much for all the info Christine! Fascinating. IMO Kloof gorge is the best place in the whole Durban area and with a very dedicated management. Lets keep looking after it. This is the exact same article from last year. Has anyone actually seen the eagles this year? It would be nice to know if the change in closure times is working and in this way substantiate the claims that climbers disturb the breading birds. Not exact, I have underlined the 2013 update. Both Wahlberg’s eagles have returned to their nesting site – the first one (female) was spotted as early as the 6th August and her partner was seen less than a week later. Some might debate the length of the ban and question just how much we would actually disturb the breeding birds if we did continue climbing at the Canyon during the closure period. 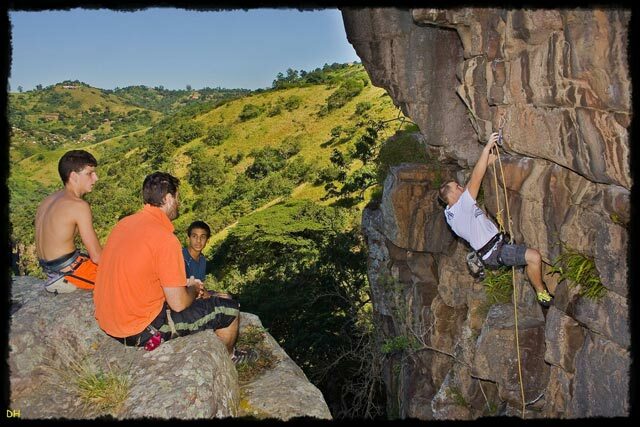 As climbers we enjoy free privileged access to various non-public areas of Kloof Gorge. Small things like signing the climbing register (*every time*) and respecting this crag closure are what show the reserve manager that we’re “responsible citizens” who should be allowed to continue enjoying the Kloof crags into the future.